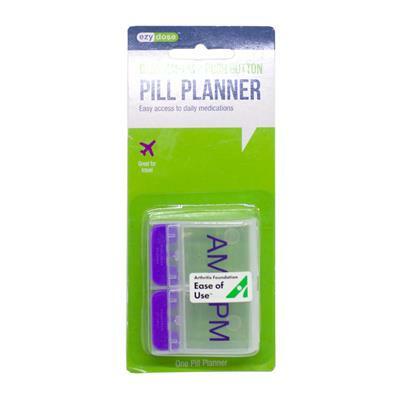 The AM-PM Push Button Pill Planner offer easy access to daily medication. The push-button feature and esay grip button are a no fuss, easy way to access compartments without having to use two hands. Great for those with dexterity issues. 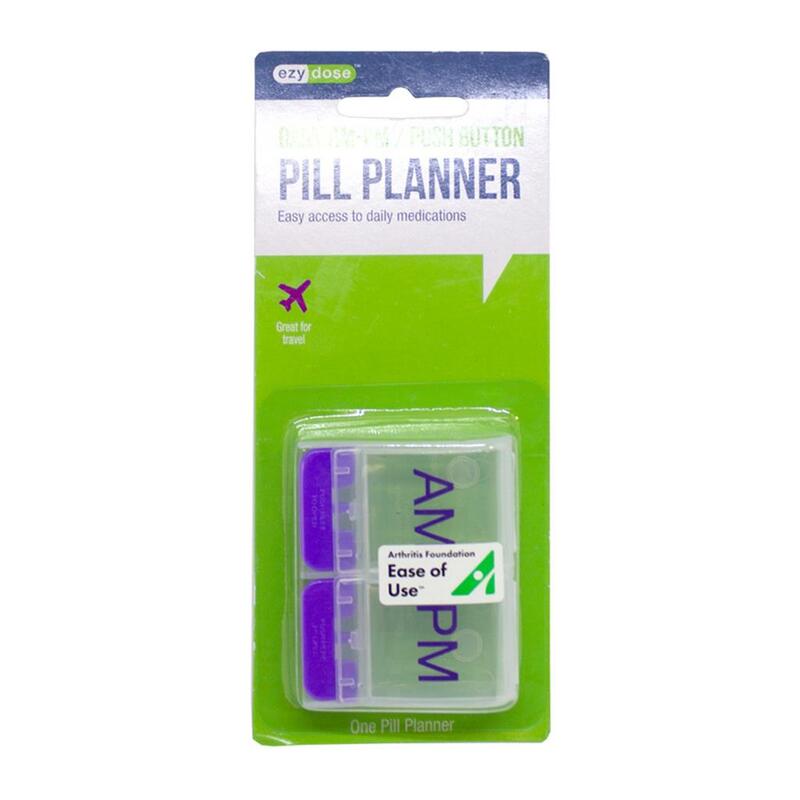 Bottoms are rounded for easy pill removal and the see-through covers make it easy pill removal and see-through covers make it easy to know if you've taken your medication and / or vitamins on time.